Benjamin Aaron Shapiro is a political commentator, writer, and lawyer. 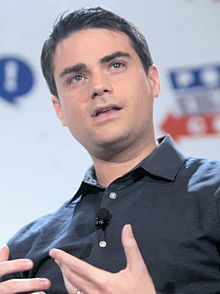 He has written seven books, the first being 2004's Brainwashed: How Universities Indoctrinate America's Youth; Shapiro began writing this book at age 17. Also at age 17, he became the youngest nationally syndicated columnist in the United States. He writes syndicated columns as well as a regular column for Newsweek magazine. He also serves as editor-in-chief for The Daily Wire, which he founded, and hosts The Ben Shapiro Show, a daily political podcast and radio show.